The Clarkson Bishop's Crosier (item no. 7010) available from Brewsters Fine Furniture it is crafted in the U.S. from solid oak and stands more than 6 feet tall (76 inches). 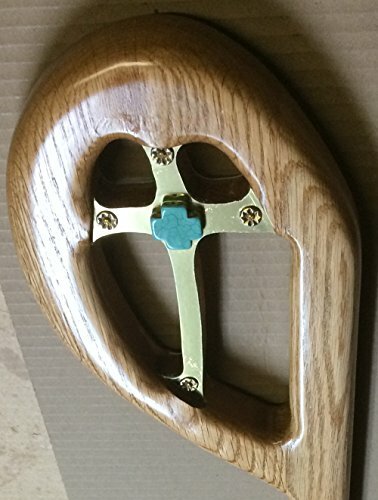 The crosier does not come apart it is accented with a brass cross on both sides as well as a turquoise mini cross, we custom make all of our staffs on site, our solid wood staffs give you the natural felling of a staff in your hands. there is no comparison in quality or price.